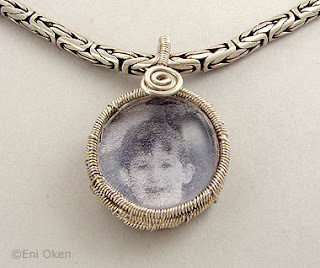 Catching up with a project I wanted to try for a while: I used a clear glass pebble as a cab, with the smallest image of my son attached to the back. 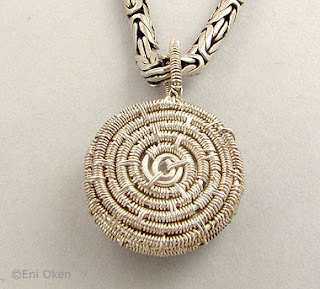 The bezel in sterling silver is a basket weave which completely encases the glass cab and image (see the back image). 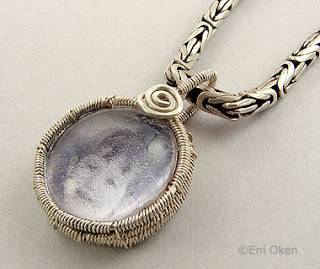 Before working the weave, I secured the image to the glass with craft foil, to protect the image better. 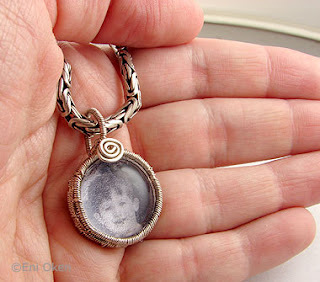 The pendant is smaller than a quarter coin. I did not make the chain.